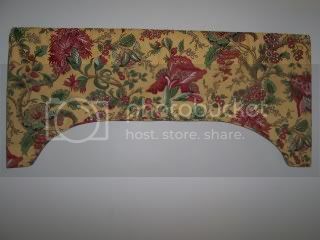 Beautiful ARCH style Valance can be completely customized to fit any size window up to 52 wide. 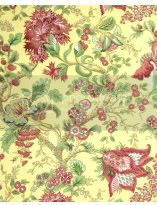 Robert Allen Jacobean Canary is a rich large jacobean print with shades of raspberry, greens and tan on a deep yellow background. 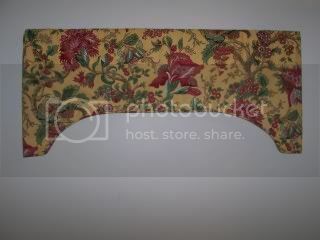 This valance features a self corded edge and a 3 rodpocket. It is meant to hang flat to show off the Arched design. This valance is fully lined and corded and makes a simple yet elegant window treatment for any room!